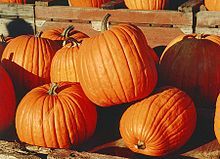 Are there any pick-your-own pumpkin farms along the 35 Mile Drive? My family has yet to secure a few and would love to go somewhere close and beautiful! Alas! Not yet. Maybe next year:) No pumpkins but I’ll email you an invite to an appreciation party at Rassawek on Saturday, October 29 starting at 2:00, the home of our new signature event the Rassawek Heritage Show & Wine Festival. It’s an amazing place and the drive there takes you down the 35 Mile Drive! !